Spicy cuisine from India’s southern state. MY first taste of Chettinad cuisine was during a visit to South India almost two decades ago. A carnivorous teenager back then, I loved the variety of spicy meat dishes ? a far cry from the standard vegetarian fare that was commonplace in the Indian state of Tamil Nadu. The southern state?s Chettinad region is renowned for its cuisine, which rates among India?s spiciest and tastiest. I still remember the finger-licking curries made with carefully-prepared masala (spice paste or powder) and the delectable sweets offered at the end of meals. 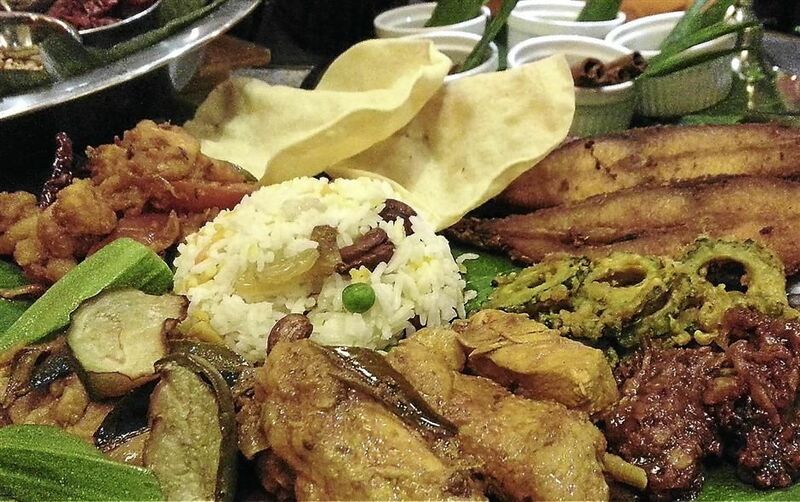 While many Chettiars (as the community is called) settled in Malaysia, authentic Chettinad cuisine is still hard to come by. Imagine my surprise when I heard about Chettinad cuisine being served at the Grand Lexis in Port Dickson. Chettinad cuisine in my backyard? Signature dishes: The hotel will serve popular dishes from the region, including chicken kara kolumbu (spicy chicken curry), meen poriyal (spiced fried fish), mutakos paratal (stirfried cabbage) and payasam. Enticed by the idea of aromatic curries redolent with spices, I made a beeline for the hotel to sample its Flavours of Chettinad promotion. The promotional fare is the brainchild of the hotel?s recently-appointed Indian sous chef, K. Karthigayan, who specialises in the cuisine from the Chettinad region. With 18 years of culinary experience to back him up, Karthigayan, 45, is a deft hand in the kitchen, and definitely a master at Indian cooking. ?Chettinad samayal (cuisine) is interesting because of the amount of spices used in its preparation. ?In Chettinad, the curries would be typically cooked in claypots over a gentle flame, allowing the spices to mellow and complement one another,? he said. While cooking in a hotel setting requires a different set of equipment for the ease of preparation, Karthigayan said he tried to keep his Chettinad curries as authentic as possible. ?The flavours remain as close to the original as we could manage. ?We have had to tone down the spiciness a little to suit the palates of our guests but besides that, the flavours are similar,? he said. Chettinad cuisine is also a healthier choice for curry lovers as coconut milk is used sparingly. Instead, plenty of onions and tomatoes are used to make up the flavoursome curry sauce. In Chettiar households, sun-dried and salted vegetables are also used to flavour curries. Signature dishes which will be featured on the rotating menu throughout the Flavours of Chettinad promotion that runs from now until Nov 30 include Chicken Kara Kolumbu (spicy chicken curry), Meen Poriyal (spiced fried fish), Prawn Peratal (stir-fried prawn curry), Mutakos Paratal (stir-fried cabbage), Pavaka Poriyal (fried bittergourd) and payasam (vermicelli dessert). All meals will be served on banana leaves for a truly authentic Chettinad experience, and there will be no buffet lines as curries will be served individually by the wait staff just like in a typical Indian restaurant. Hotel public relations manager Jini Sebastian said the promotion would cater to walk-ins as well as Indian tour groups. 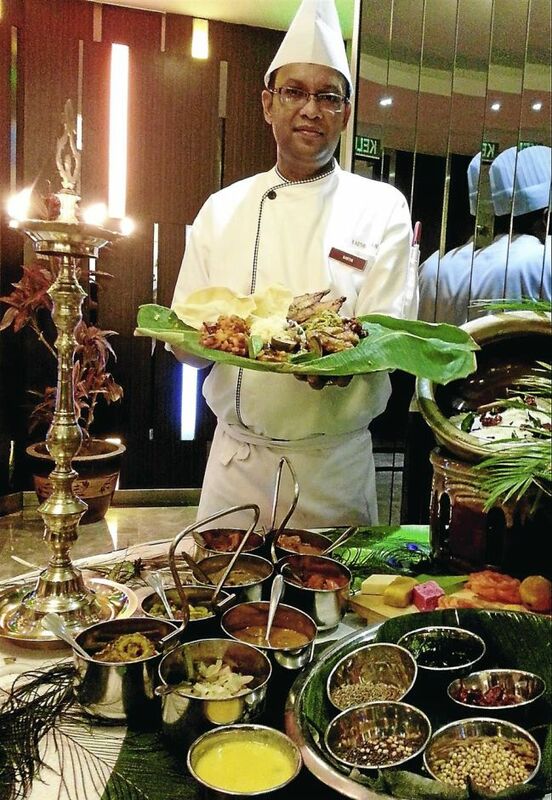 For a limited time: Karthigayan will be dishing up Chettinad curries during the Flavours of Chettinad promotion at Grand Lexis Port Dickson until Nov 30. ?We hope our promotional menu really hits it off as there isn?t a restaurant specialising in Chettinad cuisine in Port Dickson. ?We are doing something a little different from all the other hotels here, and the banana leaf meals are really good value for money,? she added. Flavours of Chettinad promotional meals are priced at RM32 nett per adult and RM16 per child. For reservations, call 06-653 2000. Meals will be served in the hotel?s Duyung Restaurant, which accommodates up to 120 diners.